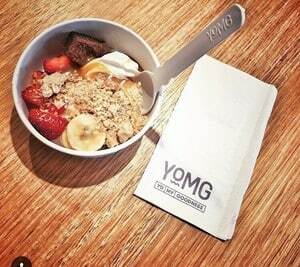 YOMG are bringing the goodness, fresh to you, everyday. The honest to goodness flavour of natural frozen yogurt, the wholesome goodness of essential vitamins and minerals, and sharing the local goodness with our Australian suppliers. Refreshing and fun. This Fro-yo is super light, my favourite flavour is Coconut. 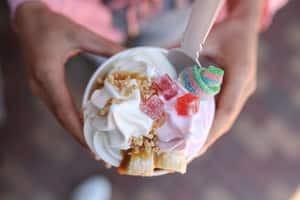 The best part is you get to use the soft serve machine yourself and then add your favourite toppings like, chocolate, crumble, fruit and even Nutella sauce. Be careful on the amount of items you are filling in your Fro-You as you are charged by the weight of your cup, I made this mistake my first time and my Fro-Yo cost me $14! Ive learnt from my mistake.